An entire floor at Washington Mall has been converted into a range of different sized units to help cater to the demands of businesses looking to rent smaller offices. More than 5,000 sq. ft. has been divided into seven offices ranging from 200 sq. ft. to 2,500 sq. ft. in a move to cater for a wide-range of businesses either relocating or setting up in Bermuda. Paul Slaughter, director and general manager, of the Mall’s owners, Washington Properties [Bermuda] Limited, said: “We have seen a move towards a demand for smaller offices so we decided to undertake these changes. “Through the Economic Substance Act, enacted under pressure from the EU Code of Conduct Group, we also think there may be some demand from companies who want to stay in Bermuda and have a larger economic presence with people being employed here. “Bermuda continues to have good transport links, a good, skilled, workforce and good infrastructure. Although some companies which are incorporated here may leave, it is to be hoped others may decide to employ locals or move some of their employees here. yeh good luck with that! Hold on.. Wasn’t the world crashing down around us and Business confidence at a all time low? Oh right… That was the wish of those on-line OBA Trolls..my bad..
Everyone knows that there is office space at Washington Mall. Why do you think they need to go to Bernerws to request an article to be made? I don’t think it’s because it’s a slow news day. I’d also consider that they took all that space and they chopped it up into smaller spaces. If business was booming, this space would already be gone (potentially as a whole). “We have seen a move towards a demand for smaller offices.” Small offices don’t tend to hire lots of people. I find it a bit perplexing how the people that live here are either behind the ruling government or the opposition; like a sports team as if we aren’t all in this together. Regardless of what jersey you wear or flag you tote saying, “Go team”, you cannot dispute the fact that businesses here are not flourishing as they once did. Perhaps we as a people, or as an economy, have not reached rock bottom – things are definitely in a negative direction of what they once were; irrespective of the Government of the term. These are just facts. I’m sorry that they aren’t the facts that you want to hear and to ignore them would be unwise. Then try to undress this article and draw on what ever negative you can make of it, when I chose to focus on the positive that these folks spent money renovationg this space for a reason… Don’t you lecture me on any “Sports team” when it’s clear that I am rooting for the better of the country and clearly you chose not too …. *clearing throat* ….For whatever reason. You do realize that the reason they are advertising is because the space is empty. Big businesses are gone getting smaller all the time which is why they hare reducing the size. Victoria house office building also completely empty. The building across from the Post Office is empty and has been for years. The building on front street that burned down was torn down and there does not appear to be any plan to rebuild? Bank of Bermuda Albouys Point soon to be empty. there are many other building with empty floors in and around Hamilton. Do you remember any other time in Bermuda’s history where we had buildings empty and no new office buildings under construction? Still don’t believe confidence is down? Those building would be renovated, torn down and new construction would be in the works if confidence was up! 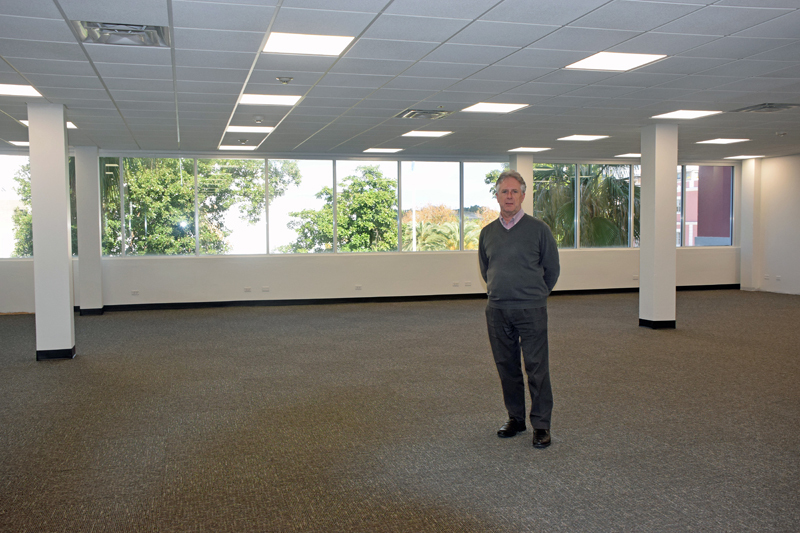 How exactly does empty office space mean business confidence to you? That’s great! But where is everyone supposed to park!!???? Just ask a real estate agent how many hundreds of thousands of square feet of commercial space is available to rent it will frighten you empty space. Old Washington mall with new carpet and new Washington mall prices……yeah good luck with that one!